It’s Friday and that means we’re ready for some fun! 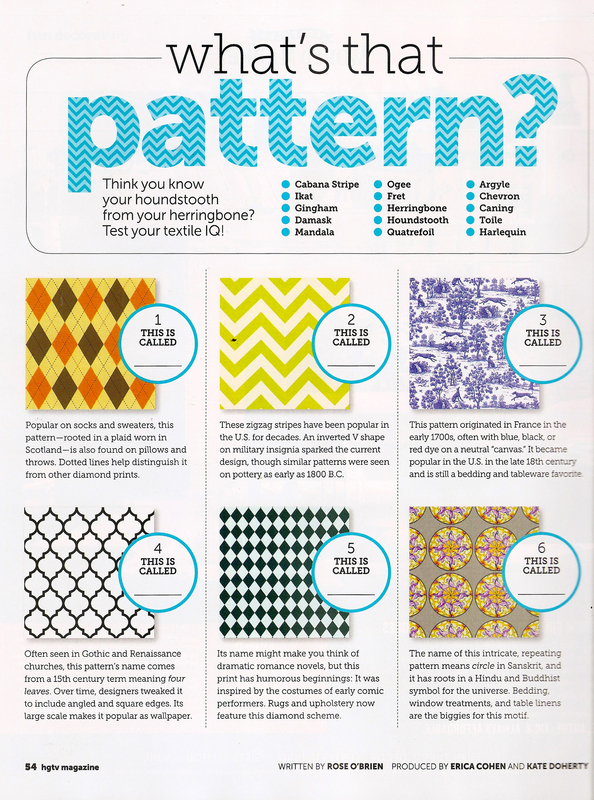 It’s time to use that pattern knowledge and put it to the test! 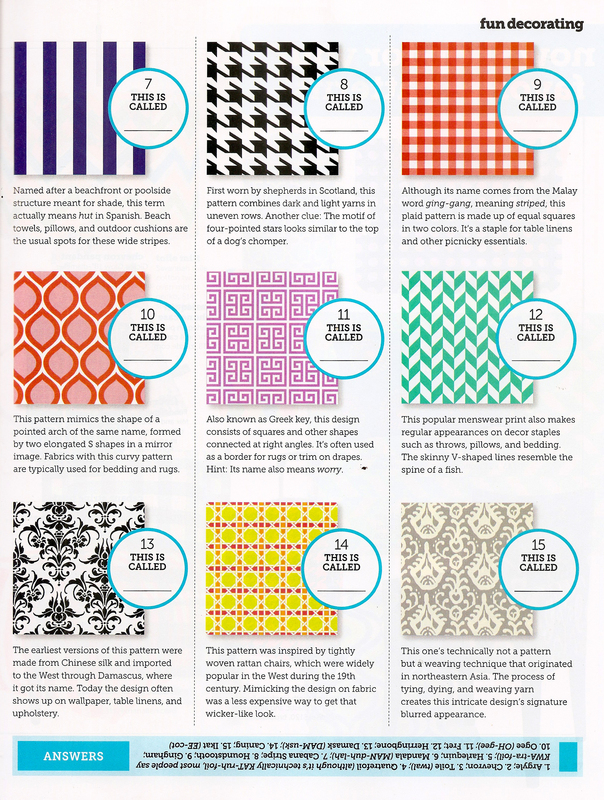 In this month’s HGTV Magazine they dish out a fun little pattern quiz to test our textile IQ’s! So go ahead and test yourself! The answers are flipped right side up on the bottom of the post so you can check and see how many you got right! And no cheating!! Happy Friday!